Media captionCamila Batmanghelidjh: Government broke promises. But it never happened because politicians "change their story and they run," she told BBC Radio 5 Live's Emma Barnett. Kids Company collapsed a year later. Ms Batmanghelidjh revealed she has been living off handouts from an unnamed philanthropist and friends since losing her job as chief executive. A government spokesman said that because of ongoing investigations by both the Charity Commission and the Official Receiver, it would be inappropriate to comment on Ms Batmanghelidjh's claims. Kids Company, which looked after thousands of vulnerable children in London, Bristol and Liverpool, was funded by both private donors and taxpayer money. Over 12 years it received £43m in public funding. The final £3m was handed over a few days before the charity went bust. 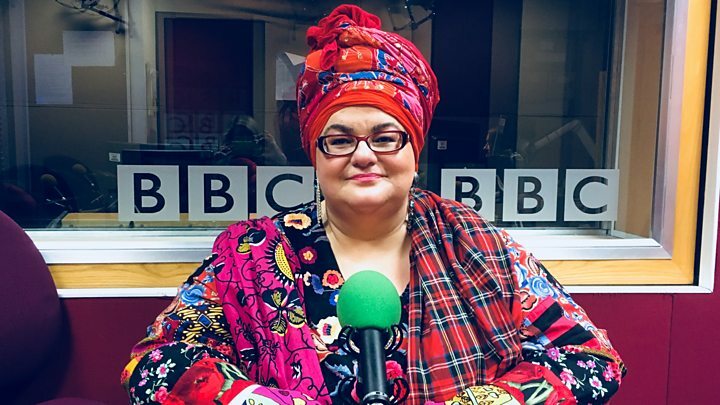 Camila Batmanghelidjh said that in 2014 there was "a central government plan being communicated to us of turning us into a charity a bit like Childline, centrally government funded". Childline costs the NSPCC about £20m a year to run. It receives just over £3m of that from the government. A report by the Public Accounts Committee described the amount of public money handed to Kids Company during its existence as "staggering" and that the charity's methods bore the hallmarks of an expensive, failed experiment. The report criticised both Labour and Conservative governments for continuing to give public money against civil service advice. Asked if then prime minister David Cameron, an early and vocal supporter of Kids Company, had let her down on the promise of state funding, Ms Batmanghelidjh said his government had, adding "what happens to politicians in situations like this is they change their story and they run". She told 5 live's Emma Barnett: "I've written the book because I think what happened to Kids Company could happen to any charity which challenges the government on any issues. "I also need people to understand that the processes that we believe in, like parliament, are actually not neutral." She added: "The Parliamentary inquiry that Kids Company faced, led by Bernard Jenkin - I never thought I'd be sitting in a British parliament being accused of mesmerizing, being a witch and doing voodoo." Kids Company earned widespread praise for its work, although some of its methods were considered unorthodox. Some children were given weekly handouts in cash, with the intention that it was spent on food and heating - but critics said it could be spent on drugs instead.